It dominated every Bradford City conversation in the build up to last September’s league clash with Bolton. Should former manager Phil Parkinson be applauded by away fans at the start of our first reunion with our former manager, or was there a risk he was going to be booed? The parting of ways last summer wasn’t exactly bitter, but some elements of his exit to a league rival left a sour taste amongst supporters. The squad was lacking in numbers, the coaching staff were all lured away to the Macron with him. He gave few reasons for his decision to depart, which allowed speculation and rumour to reign. These short-term frustrations were balanced against the incredible memories Parkinson provided. The rise up the league ladder, the cup miracles, the rebirth of Bradford City. 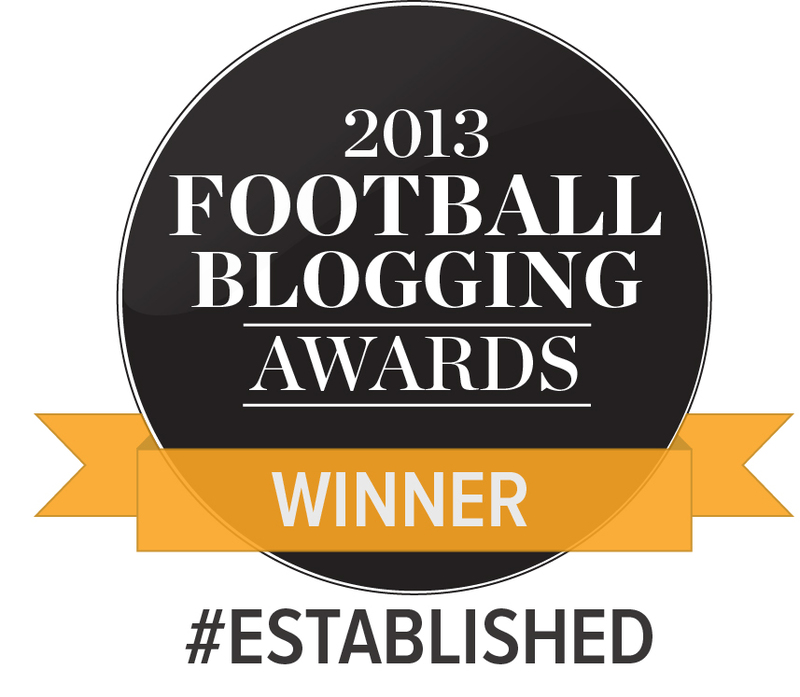 It wouldn’t have happened without Phil Parkinson. His reign will long be celebrated and fondly remembered. So although it wasn’t universal, at the Macron the majority of City’s 5,000 away following afforded Parkinson a great reception as he emerged from the tunnel before kick off. And the least we expected was a reciprocal clap back from the Bolton manager. A wave to us in the packed out away end, before the serious business of a huge League One encounter began. It was the same story at full time, after the heat of a fearsome battle had ended all square. Parkinson headed straight down the tunnel. No clap towards City fans. In his programme notes he didn’t even make reference to the fact he was facing a club he has so much history with. After the game he made strange comments about City players producing “theatrical roll(s)” – effectively questioning their professionalism. For some City fans, Parkinson’s snub was a tipping point in turning against him – and it will be very interesting to see what sort of reception he now receives on Saturday, for his first return to Valley Parade since leaving. It seems unthinkable he could be booed as he walks down the touchline, but it won’t necessarily be the warmest of welcomes. Maybe that’s the way it should be. When Parkinson emerged from the tunnel ahead of Bolton’s September meeting with the Bantams, his side were on a run of five games without a win that was dampening early season optimism. It was only Parkinson’s 11th game in charge for Bolton, and his experience of moving from Colchester to Hull City a decade earlier – where he only survived half a season before getting the sack – will have taught him it can take time to build up a positive reputation at a club. And until you get that, you can very easily lose your job. So although not under pressure, Parkinson was still settling into the Bolton role and understandably keen to win over his new public. It will have left him feeling wary about going over to salute 5,000 City fans and to have them chanting his name. If Bolton had have lost the game, any sign of a love-in with the opposition could have been used as a stick to beat Parkinson with. Perhaps the example of Gerard Houllier played on his mind too. In 2010, Houllier was manager of Aston Villa, struggling to get the club performing in line with supporters’ expectations. A trip to his old club, Liverpool, ended in a 3-0 defeat, which hardly helped his cause. But what really upset Villa fans was the fact Houllier took time out to salute the Anfield Kop. It was a moment he struggled to recover from. After everything City and Parkinson went through over five years, it is clearly ridiculous to believe the former manager has lost his affection for the club or has fallen out with supporters. But his actions in September was a very public way of demonstrating he wished to move and push all of those memories an arm’s length away. Six months on, Parkinson has done a decent job at Bolton and seems well liked by their fans. He might feel more comfortable clapping City supporters this time around – but the serious mantra he adopted at the Macron in September will largely remain. Parkinson is coming to win a football match, not reminisce with old friends. Such lack of sentimentalism is one that we City supporters would do well to adopt too. This is a really big match, and a victory against a top six rival could have a huge effect on both clubs’ season. Even without the Parkinson factor, this is a key game as the season moves into its final third. And we should go into it confident in our new manager, Stuart McCall, who has the backing of most City fans. We should largely be happy with the direction the club has taken; which even if it has not delivered a stark improvement on last season, is certainly making for more enjoyable viewing. We can also be proud of the way we have continued to progress. Like Parkinson, we have moved on. No one person is ever bigger than the club, and that rings true more than ever at this moment. Whilst Parkinson rightly takes the bulk of the credit for City’s resurgence since 2012, he wasn’t the only factor – we played our part too. It was us who kept buying season tickets after years of disappointment. It was us who stayed behind the team in the League Cup win over Burton when they went 2-0 down, a vital moment in the 2012/13 season. It was us who sold out Wigan away and roared the team to the first cup shock. It was us who packed out Valley Parade for the visits of Arsenal and Aston Villa. It was us who travelled in our thousands in heavy snow to Villa Park to help roar the team on to Wembley. It was us who stayed with the team post-Swansea. It was us who queued up overnight for Burton away tickets when the first leg had been lost. It was us who outnumbered and outsang Northampton at Wembley. It was us who stuck by Parkinson after one win in 21, and after a slow start to 2014/15. It was us who turned up in numbers for the significant FA Cup replay win over Millwall. It was us who bounced around in disbelief at Chelsea. It was us who turned up for FA Cup games at home to Sunderland and Reading, providing both noise and colour. It was us who played our part in last season’s play off finish. Over the years, before Parkinson, we stuck with the club through thin and thinner, raising money to preserve its existence and turning up week in week out during some really desperate times. We are forever grateful for everything Parkinson did for us in bringing back the good times and restoring pride, but we can thank ourselves too. The resurgence of the club was a team effort and we more than played our part. We are the heart of Bradford City Football Club. When Parkinson makes his way down the touchline on Saturday, he deserves to be applauded – but then should be ignored. He will be absolutely desperate to beat us on the pitch, and we need to get behind our team, our manager and our club to make sure he doesn’t succeed. Whatever cheers he receives from the home stands, the volume should be more than doubled when it comes to greeting Stuart McCall. I don’t remember anyone specifically applauding Parkinson at the Bolton game. The first time I noticed him was when he stormed out of the dugout to accuse Cullen of diving after Spearing tried to nobble him. You’ve also neglected to mention the (apparent) tapping up of Stephen Darby to add to the reasons to be less likely to applaud him. I won’t be paying him any attention whatsoever on Saturday.He wasn’t the only factor in our recent success and this article finally acknowledges that. As you say, it was us who stuck by him when he couldn’t buy a win. His lack of (public) gratitude for that and general lack of grace is what has turned most against him, not the fact that he left in the first place. Excellent article as always Jason. We applauded him last time, let’s not go overboard now. Both he and us have moved on and we should be fully supporting the manager and the team now. We do not forget the past but we are definitely looking to the future. Aside, I think is one of the best bunch of players we’ve had for a long time and I would be gutted if we didn’t get to the playoffs come May. The only thing we should (and will) be doing is rocking valley parade with the chant of OUR manager.. pp deserves respect for what he did.. not how or why he left. I for one will be ignoring him and saving my voice to scream Stuart’s name come 3pm. Parkinson has blotted his copybook. I don’t think he should either be applauded or booed as he makes his way to the dugout. The best response would be for the Main Stand to turn their backs and “greet” him with total silence. It’s along walk from those dressing rooms! Totally agree. His “baying for blood” speech in the Bolton News this morning shows he relishes the idea of being a target. Far better to be simply indifferent to his return. 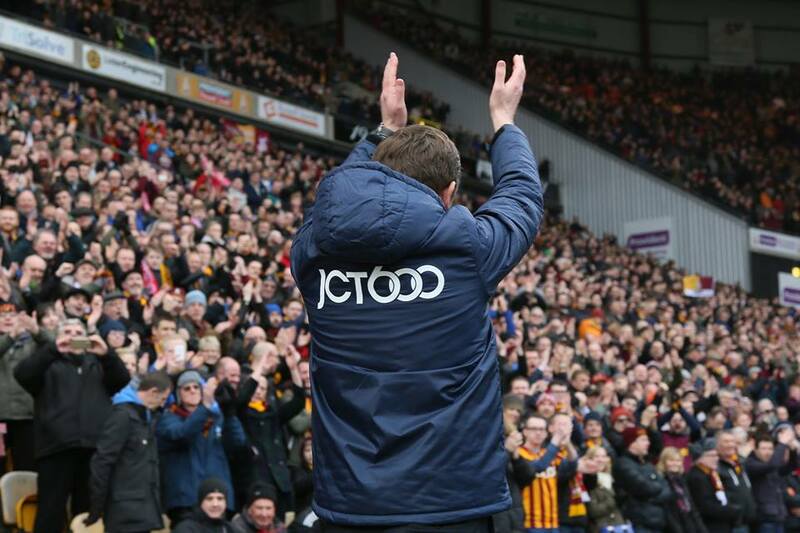 Show him what he left behind as 20,000 bantams roar themselves hoarse in support of the claret and amber. Stuart McCalls Bradford Army..that’s all that matters about the real legend the club had before and now has again! Stuart Stuart! City 2 Bolton 0..then 4th to end up in the play offs! CTID! Excellent article and I cant disagree anything you wrote. PP will be remembered fondly in time just like Nakhi Wells is starting to be remembered better than when he left. As usual Jason you mention the relevant points. PP does deserve to be applauded, and whilst he probably feels it inappropriate to confirm his affection for City, I think that without doubt it will exist. But for him football is a job, one that involves moving from club to club and surely we can understand that our ownership change moved the goalposts. But for us (the supporters) we only have one club, PP has gone now and we move on, but he deserves our thanks for picking our club up off the floor.